Hakym was born in Penang, Malaysia and originally live in Kuala Lumpur Malaysia. Currently studying Masters in Architecture at the Manchester School of Architecture graduating July 2016. He had been actively sketching since starting my architectural studies in 2008 and officially part of Manchester Urban Sketchers in 2011. He has been involved with Malaysian art movements and was part of the Malaysian National Visual Art Gallery exhibition in 2014. In 2015, I was one of the contributors in the book ARCHISKETCHER: A Guide of Spotting and Sketching an Urban Landscape by Simone Riyard and a 7 of his sketches were published. Hakym had also done research under Manchester Metropolitan University titled The Sketch Nation: Architectural Appreciation through the means of Urbansketching and actively involved with architecture schools in Malaysia doing workshops on empowerment of arts through sketching. 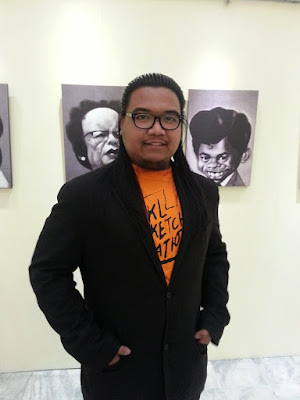 In 2014, he started a sketching based social entrepreneurship, an art movement called KL Sketchnation (www.klsketchnation.com), and it’s a fast growing community in Malaysia as well as in Manchester under the label Sketchnation Global. They had been working close with different urban sketching groups throughout our journey around the world and had been to Sketching Georgetown II 2014 and Singapore Urbansketching Symposium 2015.